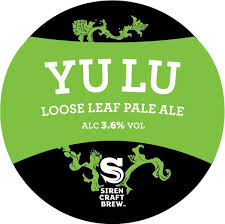 Description: Yu Lu is an intricate beer with layers of flavour that remain distinctive, yet work in perfect harmony. Her name alludes to the mystical history of the humble tea leaf, which delivers subtle bergamot orange and lemon notes here, accentuated by the addition of lemon zest. Her delicate hop high notes will leave your taste buds sparkling.